Four years is a long time, and you change a lot in four years. There's the four years of high school, when you enter the school as a gangly fourteen year old who looks like a goat (just me?) and leave feeling a bit on top of the world, or at least the school. Then there's the four years of college where a similar transformation takes place, starting again as a naive freshman and leaving ready or not to go "be a grown-up". In both instances there is growth, there is change, and there are lessons learned. The four years don't necessarily make you a different person, but usually a bit stronger, a bit wiser, and certainly more secure. Four years ago today I set out on yet another journey. This one was less about studies and making new friends, but it has had every bit as much change and growth. Our wedding was four years ago today and thinking back over the past four years, it has been quite a journey. Where we are today is very different than where we set out on October 25, 2008, and very different from where we thought we'd be today. And yet, it's been better than I ever could have imagined. Ryan, life will you has been an absolute joy. You really are my better half, the one who manages to be strong when I am weak, positive when I am negative, clean when I am messy (especially in the kitchen!). You show me so much grace and patience and encouragement, time after time, day after day. I love the quirks that make you you and the couple we have grown to be. Four years in, and so many more to enjoy together--I can't think of anything better! These cookies are some of Ryan's all-time favorites and the cookies he asks for the most frequently (along with these pumpkin cookies). He's actually in South Korea of all places right now, so our anniversary celebration will have to wait, but I was sure to make a batch of these before he left! These are perfectly chewy with just the right amount of ginger--this makes a huge batch (about 5 dozen cookies), but they stay soft for days! 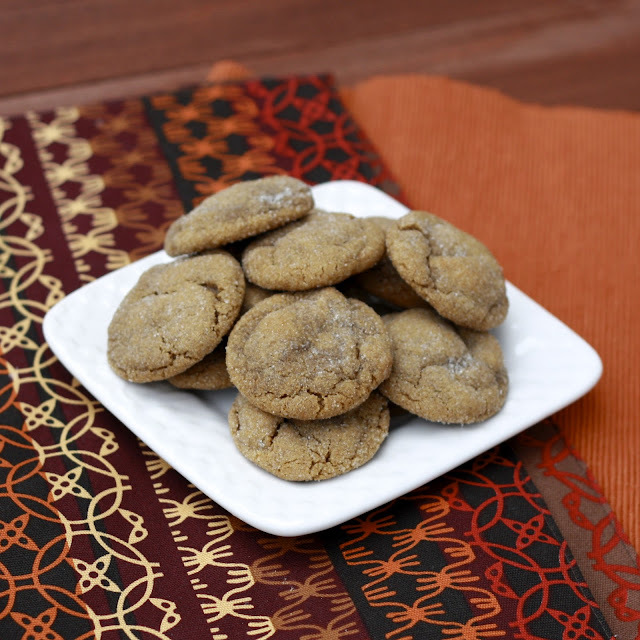 I love a crispy gingersnap but they don't even compare to these--you must give them a try this fall or winter! 2. In a large bowl, mix the flour, ginger, baking soda, cinnamon, cloves, and salt. In a mixing bowl, beat the shortening for 30 seconds, until creamy. Add sugar and continue to beat. Add eggs and molasses, mixing until combined. Slowly add the flour mixture until all is added and well-mixed. 3. Pour 3/4 cup sugar into a bowl. Shape dough into 1 1/2 inch balls and roll in the sugar. Place on ungreased cookie sheets (can line with parchment paper if desired) and bake for 9-10 minutes, until the tops are puffed and the bottoms are light brown. Do not overbake! 4. Allow cookies to rest on baking sheets for 5 minutes before transferring to wire rack to cool completely. 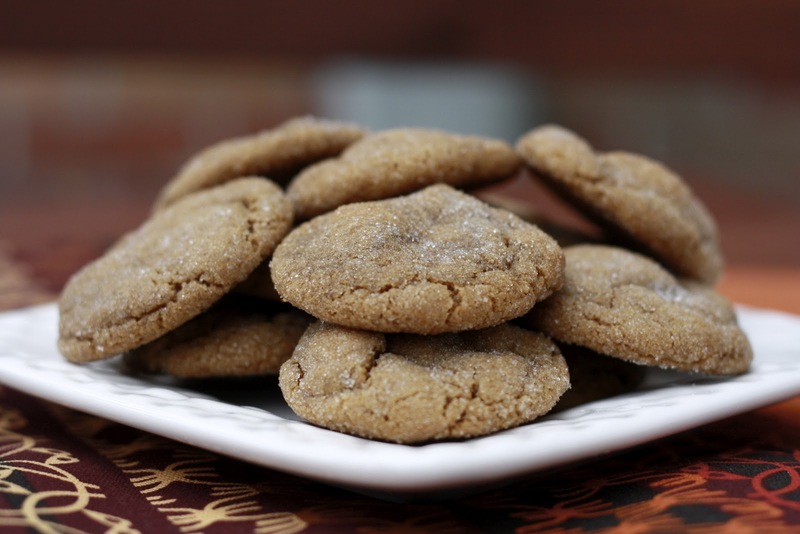 Store cookies at room temperature in an air tight container for 5 days.